Language is the roadmap of a culture. It tells you where its people came from and where they are going. For linguists, very often, beginnings are problematical and sometimes exploratory approaches, since even a beginning must have a history--a past that prepared its way. Occasionally, scientific approaches to determine the origins or the beginnings of ancient languages are highly speculative. Determining the origins of a language requires a paradigm and framework. The paradigm in the case of the Armenian language is the assumption that it belongs to a family of over 100 languages, collectively described as Indo-European that share the same origin. The framework for this assumption is the analysis of the words and the sounds of the languages that share an Indo-European heritage. 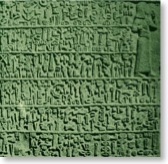 The study of a language to determine its origins and evolution deals primarily with its oral characteristics, and most contemporary linguists work under the belief that spoken language is more fundamental, and thus more important to study than written language.Thus, Armenian is considered to be mainly an offshoot of the Indo-Hittite group of languages. The consensus among linguists who accept the affiliation of the Armenian Language with the other languages of the Indo-European family is that it constitutes an independent branch within the group. Initially, several other suppositions were postulated. European scholars of previous centuries have tried to study and classify this language. Mathurin de la Croze was one of the earliest scholars in the modern era in Europe to seriously study Armenian language but his primary interest was religion. While he qualified the Armenian language version of the Bible as the “mother of all translations” and compiled an impressive dictionary of German-Armenian (circa 1802), he limited his studies to lexicology without going deeper into their origins. Immediately after the establishment of comparative linguistics by Franz Bopp, Petermann in his Grammatica linguae Armeniacae (Berlin, 1837), on the basis of Armenian etymological data available in Germany at the beginning of 19th century, was able to speculate that Armenian is an Indo-European language. Nine years later, in 1846, and independent of the work of Petermann, Windischmann, an specialist on Zoroastrian scriptures, published in the Abhandlungen of the Bavarian Academy an excellent treatise about Armenian, and came to the conclusion that Armenian goes back to an older dialect which must have had great similarity with Avesta (the language of Zoroastrian scriptures) and Old Persian, but to which foreign elements had been added much earlier. But while Pott doubted that Armenian is an Aryan language and only wanted to admit a strong influence of Aryan on Armenian, Diefenbach, on the other hand, observed that this assumption did not suffice to explain the close relationship of Armenian to Indic/Sanskrit and Old Persian, a view which Gosche also adopted in his dissertation: De Ariana linguae gentisque Armeniacae indole (Berlin, 1847). Three years later, in the Zeitschrift der Deutschen Morgenländischen Gesellschaft, under the title "Vergleichung der armenischen consonanten mit denen des Sanskrit," de Lagarde compiled a list of 283 Armenian words with their etymological definitions, without going into in greater detail about the character of the language. In the preface to the second edition of his Comparative Grammar, (1857), Bopp, the pioneer in the field of comparative linguistic studies, designated Armenian as Iranian and attempted, though without success, to explain its inflectional elements. Fr. Müller, who since 1861 had busied himself with the etymological and grammatical explanation of Armenian in a series of treatises (Sitzungsberichte der Wiener Akademie), penetrated much more deeply into the essence of the Armenian language, which he interpreted as certainly Iranian. The Russian linguist Patkanoff followed German orientalists in his summarizing treatise "Über die bildung der armenischen sprache," which was translated from Russian into French and published in Journal Asiatique (1870). de Lagarde in his Gesammelten Abhandlungen (1866) asserted that three components are to be distinguished in Armenian: the original basis; an Old Iranian alluvium resting on it; and a similar New Iranian, added after the founding of the Parthian kingdom. Nonetheless, he did not give the distinguishing characteristics of these three layers, and for this reason his opinion has not been taken into further consideration. In any case, Müller's view that Armenian is an offshoot of Iranian was not disproved in its time and was accepted as the prevailing and established theory. A significant shift from this Persian theory emerged due to the monumental work authored by Heinrich Hübschmann whose extensive research concluded that Armenian stands in the sphere of the Aryan-Balto-Slavic languages and more specifically, between Iranian and Balto-Slavic. His extensive research on the Armenian language had also the merit of validating the existing family tree of the Indo-European languages as well as enhancing the schematics of the classification (of Indo-European languages), since Armenian would be the connecting ring of both parts in the chain of the Aryan/Persian and Balto/European languages, and not merely an independent branch between the two components. But if Armenian is to be the connecting link/member between Iranian and Balto-Slavic, between Aryan and European, then, Hübschmann concluded, it must have played the role of an intermediary at a time when they were still very similar to one another, a time when evolution had not yet drawn the present sharp boundaries between them and they were still related to one another as dialects. In his later years Hübschmann, almost exclusively, continued his research on the Armenian language and authored several books on the subject. More recent linguists and experts on the Indo-European languages solidified Hübschmann’s conclusions and further enhanced the research. The Swiss linguist Robert Godel and some of the most prominent linguists or specialists on Indo-European studies (Emile Benveniste, Antoine Meillet and George Dumezil) have also written extensively on different aspects of Armenian etymology and its Indo-European heritage. Not surprisingly, other theories about the origins of the Armenian language have also been suggested. In a sharp departure from the Indo-European theory, Nikolai Marr advanced the theory of “Japhetic” origins and, based on certain phonetic characteristics of Armenian, together with the Georgian, derived from one common language family, called Japhetic and related to the Semitic family of languages. 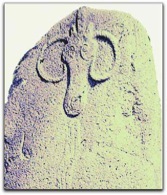 Between the Indo-European wave theory originating in Central Europe and Semitic theories, there are some who consider also the possibility of the Armenian plateau being the epicenter of the language wave instead of the largely held belief of a Central European origin. Recently, new research on this assumption has led to the formulation of the Glottalic theory by Paul Harper and other linguists that is becoming an accepted alternative by many experts on Indo-European languages. In addition to the dubious theory of Persian origins, Armenian language is often characterized as being closest to Greek. Yet, neither of these attributions, the result of often borrowed information, is seriously validated from a purely philological perspective. The Armenian philologist Hratchia Adjarian has compiled an etymological dictionary of Armenian which compilation contains 11,000 entries of Armenian root words. Of these, the Indo-European component is only 8-9%, loan-words constituting 36% and an overwhelming number of “undetermined” or “uncertain” root words that constitutes more than half the vocabulary. and animal husbandry. 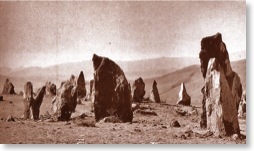 Recent archeological evidence in Armenia confirms several agreements between this civilization and Indo-European culture. It is almost a certainty to presume that this led to the creation of a distinct identity and culture that was separate from the other human groupings in Asia Minor and Upper Mesopotamia. Within this context, Armenian, with an uninterrupted evolution through time and geographical space, continued to evolve and be enriched by neighboring cultures, as attested by the loan words, and, after the alphabetization of the languages, to be further enhanced by exchanges with distant cultures. Consequently, it is safe to assume that the Armenian language in its current expression has a history of approximately 6000 years. 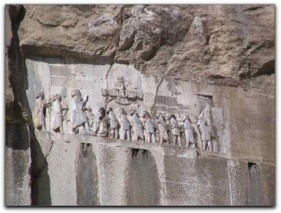 If the linguists who prepared the Behistun texts in 520 BC equated Armenia and Urartu as an interchangeable designation for the same land, and given the antiquity of Urartu, this may provide linguistic evidence for an additional…1000 years of Armenian civilization and culture.